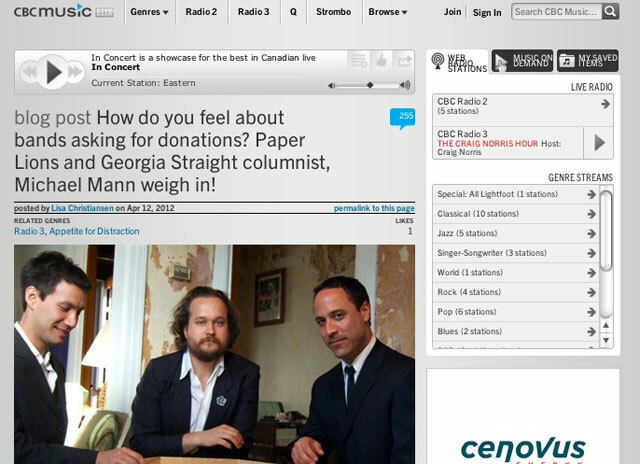 CBC Radio 3, CBC Radio 1, Openfile – Boo Hoo Broke Bands | What's Up Mann? Strange week! On Thursday April 12, I was invited to appear on CBC Radio 3 with Lisa Christiansen to discuss an article I wrote for the Georgia Straight. After that, I walked upstairs and got to be on Radio One with Stephen Quinn. And the next day I was interviewed about the article for OpenFile by Michael Aynsley. Thanks for humouring me Lisa, Stephen and Michael!